Walking through Canberra’s city, I’m occasionally struck by a ghostly memory of the city it was only a few years ago, before anyone had uttered the phrase “the new Melbourne.” Our city has undeniably transformed since then, but one happy constant in Canberra’s streets, gardens and hearts has been birds. It would be hard to name a better symbol of our bush capital than the ever-present magpie, but as Canberra rockets towards cultural-hub status, we risk pushing out our beloved co-inhabitants. This threat of losing our urban birds, and the disappearance of them in more developed cities, is addressed in the stunning and varied exhibition, I thought I heard a bird, on show at Craft ACT. The exhibition is a research outcome from a group of artists studying the intersection of nature and culture at the ANU School of Art. This diverse group of artists includes Ashley Eriksmoen (working in studio furniture and design), Fernando de Campo (typography and print-based painting), Joyce Hwang (architectural sculpture), Madeleine Kelly (small sculpture and installation), Patsy Healy (ceramics) and Raquel Ormella (painting, textiles and video installation). The group have used the act of birdwatching, or “twitching”, as it is often known, as a beginning for their research and art-making. The importance of observation and recording in birdwatching serves the artists to come to intimately know the daily behaviours of birds. The nuanced understandings that come from this intensive watching yield a subtlety and attention to detail in the construction of the resulting craft objects. The conversation encompasses the unique forms of observation, visual identification, recording, place-making, and engaging with place and wildlife that bird-watching models. Art, craft, architecture, critical design, and design fictions have a unique role in capturing and addressing the plight of urban animals, particularly birds. Joyce Hwang is an international artist and architect who has joined the local artists for this show. Hwang works in New York State using creative architectural means to solve ecological conservation problems. 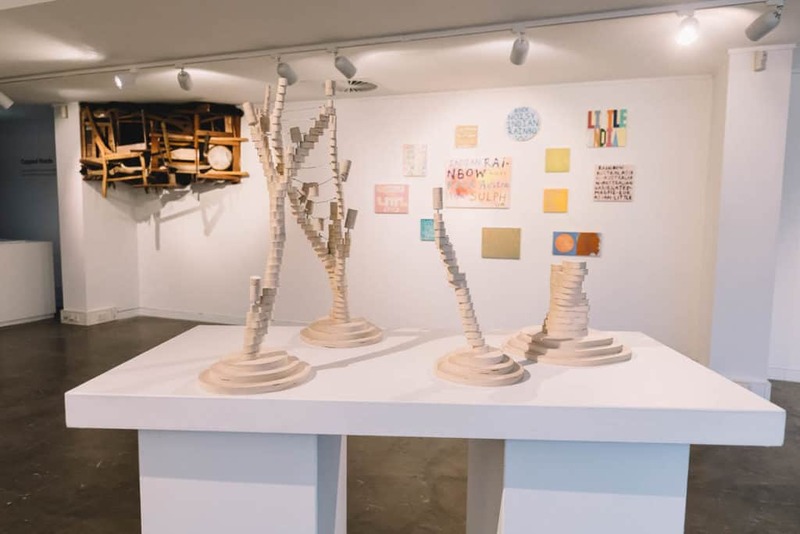 Hwang is currently working with the ANU School of Art and Design on a habitat restoration project here in Canberra and will bring her impressive, architectural style of habitat-sculpture to the Craft ACT Gallery. Canberrans have a unique co-existence with birds. That much is clear each spring when cyclists watch the trees for swooping magpies and weekends spent in the garden have a soundtrack of chattering rosellas. As our city grows and we increasingly seek methods to increase convenience in our day to day lives, I thought I heard a bird encourages us to instead seek compassion, connection to nature and the everyday joy that comes from sharing your city with wildlife. 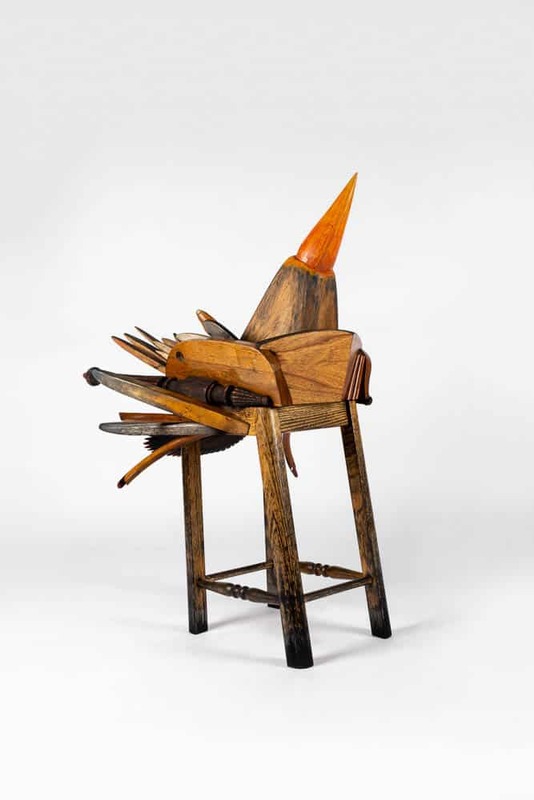 I thought I heard a bird is now on show at the Craft ACT Gallery until May 11 2019. Isabelle Mackay-Sim is a local artist who is passionate about enriching and promoting the Canberra art scene. Isabelle currently works from a studio at the ANU School of Art and loves to finish off a day of making with a beer and bowl of chips.